The Violet Files consults some of the busiest hairstylists in the business on the season’s freshest cuts. What’s the autumn equivalent of spring cleaning? Let’s make a case for the new-season hair makeover. And after a summer of sun- and salt-induced stress on your tresses (read: split ends, frizz), what better time to make the cut? To that end, The Violet Files quizzed top industry hairstylists on their favorite styles for fall. Whether you’re headed back to the boardroom, the red carpet, or the front row, here’s the inside track on what’s next. After the so-called “lobs” of seasons past, Anh Co Tran of Ramirez Tran, and Violet Files contributor and Striiike co-owner Ashley Streicher both advocate for grown-out variations. Tran observes that “Everyone’s either growing it out or getting more layers so it’s becoming more shaggy and textured,” while Streicher prefers a blunt, one-length version. “I also think adding a bang will be very popular,” she says, “Because, why not?” Both work for any face shape, but hair texture is where the cuts can differ. Those with very curly or coarse hair should beware that Tran’s layered take will require a lot of post-wash styling, but straight or fine hair should be able to wash and go. With Streicher’s one-length version, those with frizzy or heavy hair will need weight taken out of the ends, while those with fine hair should go a touch shorter to keep strands springy. For this cut, it’s all about achieving that coveted second- or third-day texture. For those with natural waves, Tran recommends some preliminary rough drying to get moisture out, then running a serum or styling cream through to add a bit of grit (he likes Leonor Greyl’s Eclat Naturel) before blowing out until the hair is completely dry. Finish with Oribe’s Dry Texturizing Spray for a perfectly done undone effect. Streicher agrees: “I think it’s important to keep the roots dry and voluminous, especially if you have bangs. So a good dry texture spray is key.” She likes Sachajuan’s Volume Powder. Think the Rolling Stones frontman in his heyday. “Wherever I go, I notice that if you look around, who has good haircuts? Most of the time it’s men!” says NYC-based stylist Yves Durif. Taking these long-locked guys as muses, he encourages an update on last year’s shag. Laurent Dufourg, a fellow Frenchman in New York, points to Coco Rocha’s version of the cut, with its heavy, heavy bangs. “It looks amazing,” he says. This isn’t a cut for those with fine hair, Durif warns—you need thick, relatively coarse hair to pull this one off. After giving Lily Aldridge a long fringe with face-framing layers, Cervando Maldonado of Goddard-Bragg in West Hollywood has had many requests for something similar. “It’s easy to manage and easy to wear many ways—beachy or high-glamour waves, natural, or bone straight. 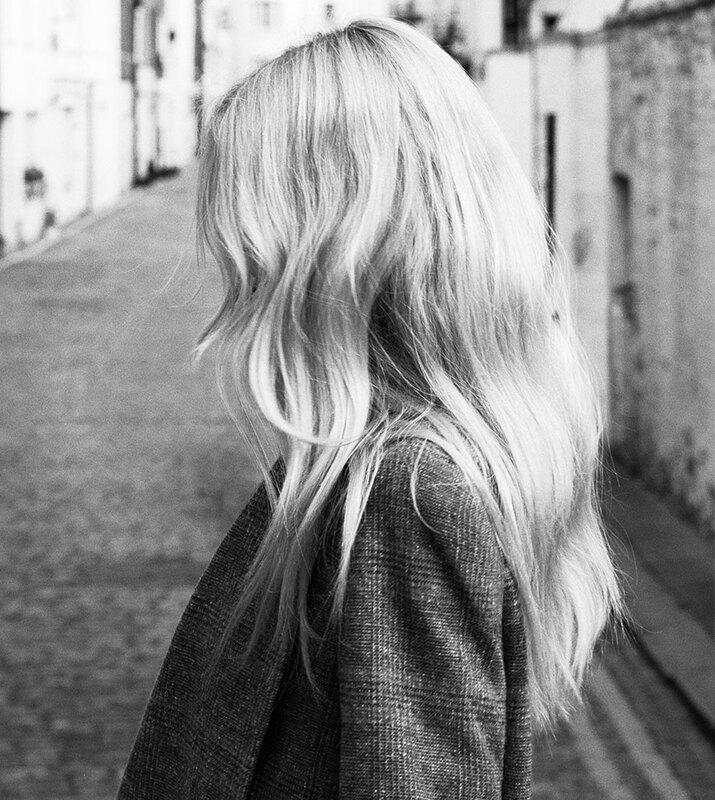 With the long fringe and long layers, it lends itself to many styles.” Serge Normant, who works out of Serge Normant at John Frieda in New York, agrees: “I do really like this kind of length—definitely below the shoulder blade,” but not too long. An example? “Julia has that haircut right now,” he says casually. That would be Roberts. Both Maldonado and Normant caution that when it comes to product, less is more. “If you need more than two or three products, you’re usually using the wrong ones,” says Normant. He recommends starting with a mousse or volumizer (such as his own Meta Lush Volumizer) on wet hair before blowing it dry, and perhaps finishing with a curling iron to give a little more weight. Maldonado suggests curl cream or mousse [Violet recommends Shu Uemura’s Kengo Feather Lightweight Cream], and either getting a little moisture out with the hair dryer or letting your locks air-dry. “It’s that look where you can walk out of the hairdresser and it doesn’t look like you were there—but it looks great anyway,” says Normant. In polite society, HAIRCUTS, not star signs, are the ULTIMATE directors of destiny. Planning a long drive to see the fall foliage? Regular roadtrippers (and husband and wife), makeup artist Kate Lee and hairstylist Sascha Breuer, advise on their ten must haves for any car journey.